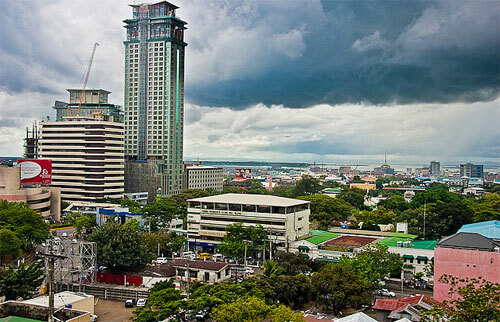 The Queen City of the South – Cebu City is known as one of the booming cities here in the Philippines. If you have visited Cebu City, you will find their IT Park where most of the business process outsourcing (BPO) companies are located. Hence, the city has been attracting more and more investors making them grow financially. In addition, since there are quite a number of BPO companies in the city, more and more Filipinos are recognized with their ability to speak English fluently. Cebu City has been known to be one of the language training centers here in the country. How did that happen? If you happen to visit Cebu City, there are a lot of ESL centers that teach English to non-native English speakers. These non-native English speakers can be Filipinos or even foreigners like Koreans, Japanese and Chinese. As a matter of fact, the number of foreign nationals like the ones mentioned above has increased yearly in Cebu. These foreign nationals are in Cebu to study the English language. They choose to study in the Philippines, particularly in Cebu, because of the expertise of teachers and trainers in Cebu City. Aside from the ESL programs these centers offer, they also have programs like the TOEFL or the Test of English as Foreign Language and the IELTS or the International English Language testing System examination. These two exams are English proficiency examinations. English proficiency examinations are exams that evaluate an individual’s fluency in using the English language. Furthermore, the TOEFL and the IELTS are commonly used as a requirement for employment and school overseas. Standard scores are set by companies and academic institutions respective of which candidates need to attain. Because of this, IELTS and TOEFL candidates have to undergo English training in centers to prepare them for the exam. In Cebu City, there are a good number of review centers that cater the need of these individuals. Moreover, these review centers have very professional trainers and coaches that will hone the English skills of these candidates. Their English is very fluent and they are known experts in the English language. Because of the increasing English review centers in Cebu City, it is not surprising that Cebu City has slowly becoming a center for English training in the Philippines. With good English speakers found in the city, the city will be known around the globe to be the best training center for the English language.